You read all about the Cavalier brunch I attended in March, hosted by Food Should Taste Good (FSTG) and Tablehopper Marcia Gagliardi, in my last post. Now, I’m sharpening my focus and delving into the world of FSTG’s cracker products. Obligatory disclaimer! They were provided for free as samples from FSTG. Swag bags from the brunch had also included a couple bags of FSTG’s tortilla chips and the not-yet-released Real Good Bars. Real Good Bar Sneak Peak! 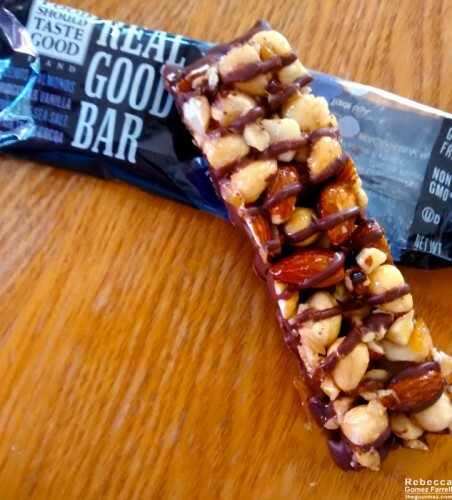 Both product lines impressed me, though the macadamia chai bar and the sweet potato tortilla chips stood out from the crowd. I’m also dying to try the kimchi tortilla chips once I come across them. This brand has been going strong since 2006, but those items and the brunch dishes were my first exposure to it. And as their name makes plain, FSTG is obviously a believer in simple-is-best healthy eating. If the ingredient list is long, it’s because of all the whole grains used in their recipes, often amaranth, brown rice, flax, and quinoa. 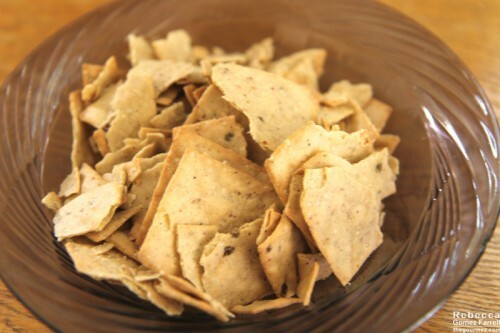 Other common items in the cracker recipes included rosemary extract, potato starch, high oleic canola oil, and brown sugar as a sweetener. 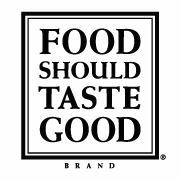 FSTG believes in avoiding the mess of lab-created chemical flavorings, opting to bake real vegetables, herbs, and extracts straight into the crackers rather than slathering them with messy powders. That often results in gluten-free and vegan offerings by happy happenstance. I’m neither gluten-free or vegan, but I know that eating more foods that qualify as either for snack food is a healthy game plan. I received all four of FSTG’s Brown Rice Cracker flavors. I’ll start with my only significant complaint: The ratio of broken, and I mean really broken, crackers to whole ones was way too high. That may be more of a shipping concern than a legitimate one, as mine came in the mail and most of you would probably pick them up on a grocery store shelf. Otherwise, they all had a consistently smooth exterior with plenty of whole grains visible and a nice crunch. 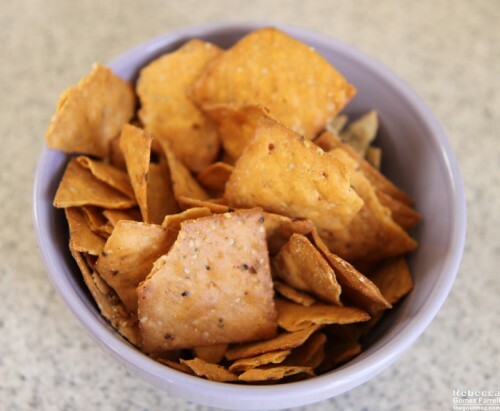 A 10-cracker serving size varied from 120–130 calories, which is about where I like to keep my snack foods. Whole crackers were about the size of a Wheat Thin and great for dipping. I opted to try the basic sea salt flavor first to use it as a standard for judging the more inventive ones, and I think that was a good choice. The cracker uses tamari soy sauce to impart saltiness, which is smart, because rock salts, like sea salt, should be used sparingly—it only takes a few twists for them to shine and they are easy to overuse. 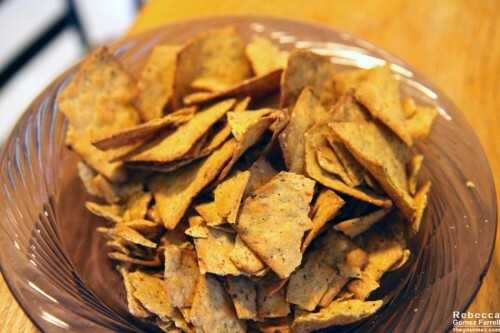 These crackers found the right balance, and they benefited from extra flax seed crunch. In comparison, the roasted red pepper crackers sang with flavor! Dried red peppers were, as to be expected, the main reason for that along with onion powder and dried garlic. I am a very big fan of roasting red peppers, so it’s little surprise that I loved them. They’d go well with garlic hummus or tzatziki. The tomato and basil was another example of using dried vegetables well. The brightness and acidity of the tomatoes jumped at me right away. The basil flavor was also strong, and thankfully, they reminded me of a fresh caprese salad rather than your mama’s marinara. Nothing against Mama, but I simply wasn’t in the mood for a warming seasoning blend. Finally, the peppercorn. I could taste each and every one of those white, black, red, and green beauties! I could see big chunks of them, too, though the pepper kick varied widely from chip to chip. For people adverse to spicy heat, they may be a bit too much, but for me, they are definitely a win. They’d do well with a smooth, cooling goat cheese or cream cheese dip. End verdict? Assuming the store-bought boxes contain more whole crackers than I got, Food Should Taste Good’s brown rice crackers make for tasty, healthy, naturally flavorful munchies. You can buy them at many grocery stores and online.